I have never liked canned tuna, partially due to its texture and partially since it is so often served mixed with mayonnaise. Before we go any further you should know that I HATE mayo, loathe it completely. I don’t know if it comes from growing up in Chile where most food was served with about an inch of yellow mayo on the top of it, or because anything made primarily out of eggs should have a shelf life of years. 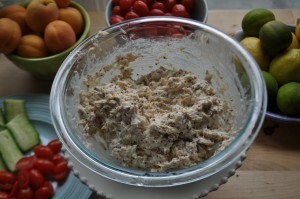 The hubs LOVED canned tuna, probably to an unhealthy level, so I have been trying to find ways to make it so we can eat it together so I have been thinking through all of the different elements that could be used to bind tuna into a salad. 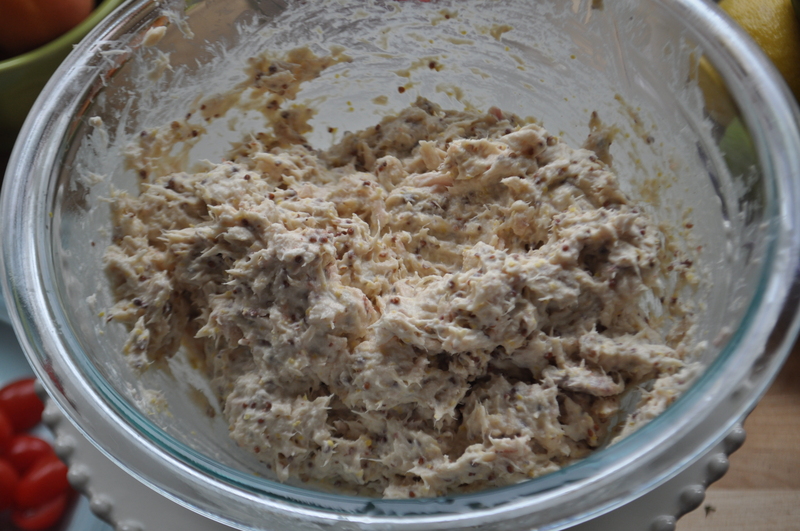 Mustard on its own is far too strong, butter too rich, cream cheese a bit too thick. Then I wondered if mascarpone might work. Mascarpone is the lighter, citrusy cousin of cream cheese, with a not sweet but not quite sour flavor, so it leads itself to be used as a base for other flavors. A quick look up of mascarpone tuna salad resulted in a rather appropriate recipe for Tuna Mascarpone Stuffed Tomatoes , which had all the basic ingredients I was looking for and looked like it could take some delicious additions. The beauty of this recipe is that it takes no time, and can be doctored up and down a number of ways. I served it on toasty mini French rolls with cucumber and tomato slices, however I think it would also be a delicious dip for a crudite platter or as an addition to a cheese platter. This was my first try with this recipe so let me know what you think! Ooh I had never thought of mascarpone in tuna. I’m a big fan of red wine vinegar or soy sauce, a bunch of dried dill, and cayenne, but I may have to give this one a try next time I have a tuna hankering. The mascarpone was a nice vehicle to highlight the lemon and mustard. 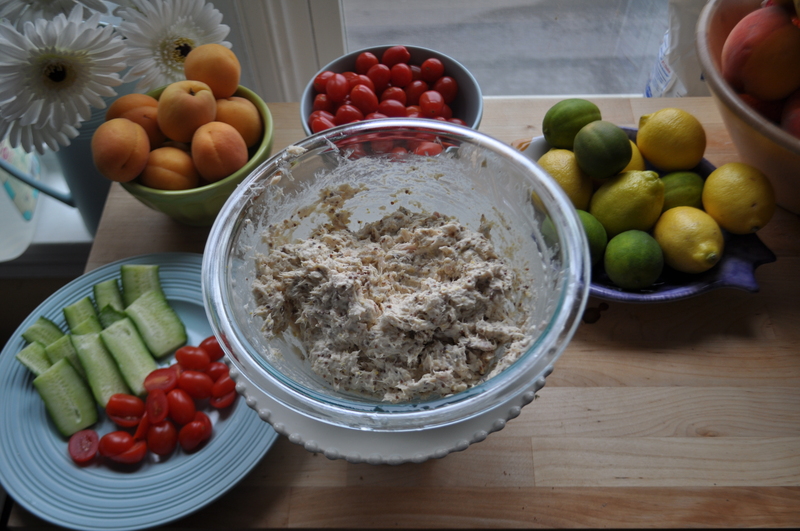 Was also a delicious dip for crackers for lunch later in the week! Marscapone was a tasty alternative. 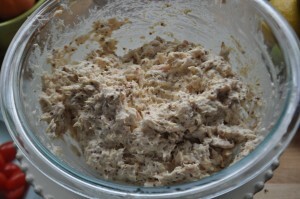 It ended up with a much lighter and healthier vibe than the mayo-infused tuna fish sandwiches I normally make. A+, would eat again. Pretty such you will eat anything I give you to eat, silly man! How about avocado instead of mayo with either a squirt of lemon or lime and just a bit of olive oil. Yum, Yum!! I bet it would be delicious with chicken, maybe add some lemon juice to kick up the flavor a bit, may have to try this myself!